I love the detailed step by step recipes and pictures. Fun way to learn new things in my kitchen. 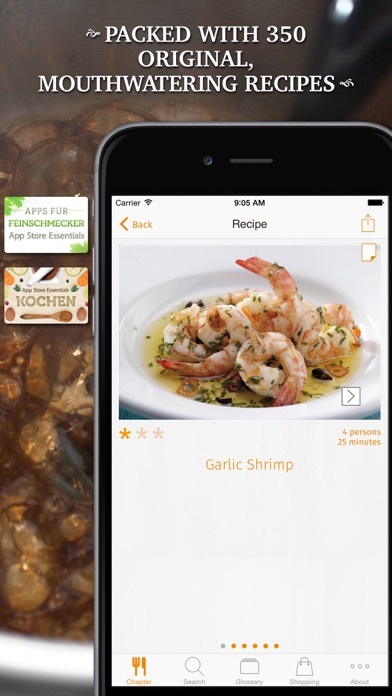 This app is great, perfect for an amateur, easy to follow recipes. Well considered, well executed. Nice! Since purchasing this app back in October 2010 I have yet to regret buying it, and this update has made a great app, outstanding!! The completely redesigned layout is fantastic: the chapters are now displayed in a carousel layout -- it's like flipping through a Rolodex, which is a great touch!! 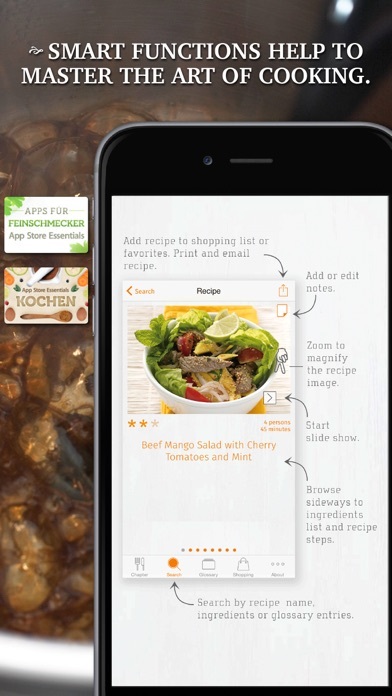 Also recipes can now be saved in a Favorites folder (and they're saved in alphabetical order), the photos are even more appetitizing and eye-popping, and a pinch out expands the photos while a tap, hit the Done button, takes them back to the original size! Unless I'm missing something, the "Voice Over" screen reader is not available in the iPhone version but that's no reason not to purchase this app!! The Cooks Encyclopedia was well worth the price two years ago and it STILL is!!! I HIGHLY recommend purchasing this app!!!!! Original October 14, 2010 Review: I was a bit leery about buying this app because of the price but I took a chance and I'm very glad I did!! 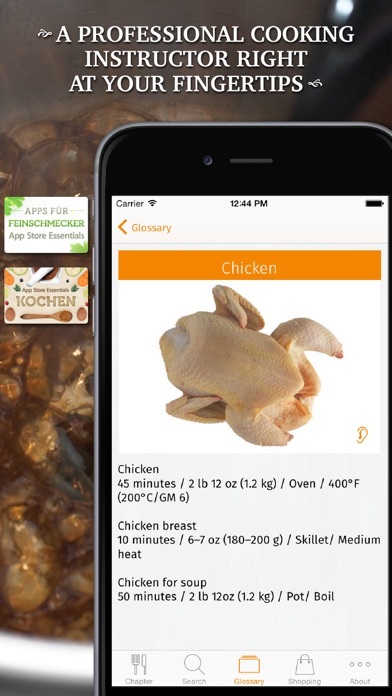 This app is amazing -- there's a "ton" of recipes (21 chapters) and an A to Z glossary. 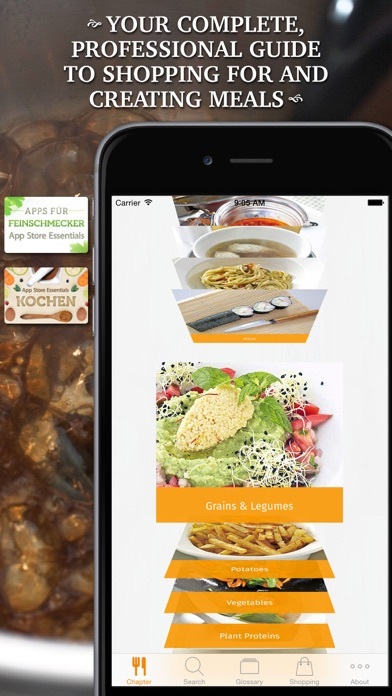 This app is literally a step-by-step cookbook with pictures at each step!! I'd add two things: a "Favorites" option and a "Menu Planner". 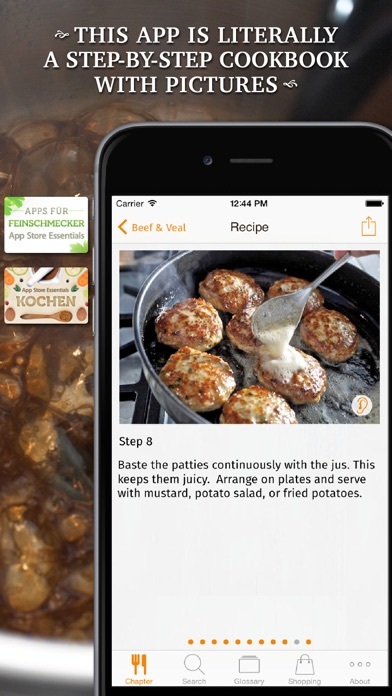 Currently, you can't save any recipes in a favorites file nor can you save specific recipes to a menu planner if you're putting together a dinner party, a holiday meal or a child's birthday party but don't let that stop you from purchasing this app! I've never spent so much on an app but for this one, I'd spend the 9.99 again (no hesitation)!! More by Buenavista Studio s.l.